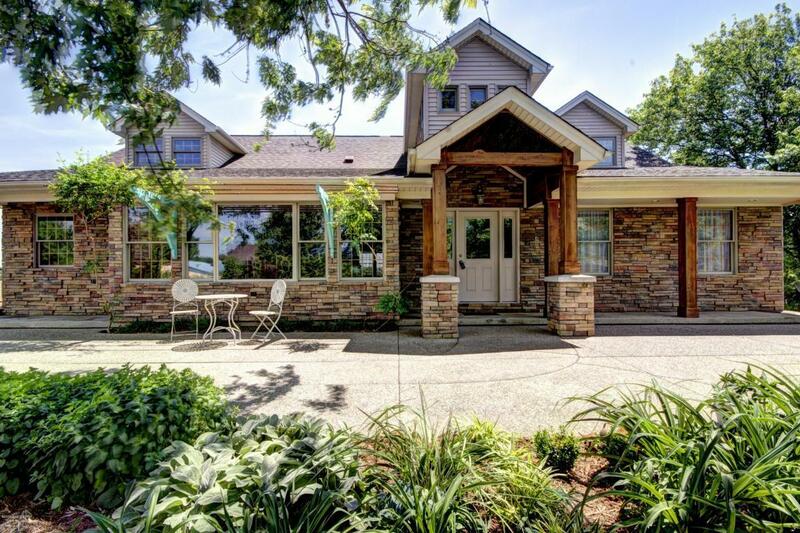 Situated on 20 acres of beautiful farmland with pond, this 4825 sq ft walkout ranch with 4 bedroom, 5.5 bath home offers secluded country living just a 1/2 hour drive from downtown Louisville and it's eastern suburbs. The original house was taken down to its studs 13 years ago, expanded and upgraded with high quality materials and an open floor plan. Every sq inch of floor surface is either spectacular Brazilian cherry or porcelain tiles. The gourmet kitchen is equipped with custom cherry cabinets and Miele appliances. The adjoining pantry is 6'x9'. The first floor of the house is flooded with light from banks of Peachtree double pain windows and 3 dormers in the 20'ceiling. MUST SEE ATTACHED SHEETS FOR DETAILS OF EACH ROOM AND FARM. VIEW VIDEO TOUR. Call for appointment.